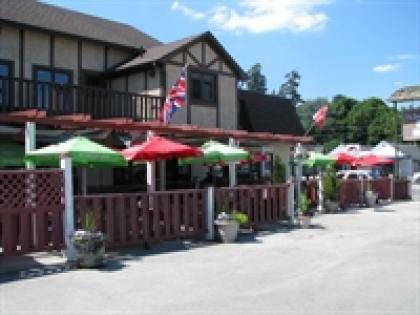 Long established fully licensed British style Pub in the heart of the four season resort of Collingwood, Ontario close to the Intrawest ski village of Blue Mountains. A turn key operation that includes all furniture, fittings & equipment. This is a fabulous opportunity to own a pub well known for its local & tourism trade all year ?round. Amazing location adjoining the downtown main street, lots of traffic & high volume visibility with easy access from all directions with plentiful parking. Reasonable monthly rent with a 4 years lease left with another 5 year option. Great books and records. Licensed for 98 inside and 100 on the patio. Fully equipped office with safe, internet, modern alarm and satellite systems. This beautifully designed & well equipped establishment comprises of three different interior but joined rooms. The bar which is fully equipped with 15 draft beers, new sound system, three new flat screen tv?s including the main viewing 60? & includes a brand new carpeted equipped section with two championship dart boards that accommodates a weekly local dart league as well as a monthly tournament. The dining room which is typically English in design is very cozy and comes complete with fireplace and has a full Pub style menu with lunch & evening specials. Flat screen tv, separate sound system, glass topped tables and booths compliment the casual dining atmosphere. ?The Shipyard?s Room? aptly named to commemorate the hay day of Collingwood ship building years will seat up to 35 people and is perfect for everyday dining, private functions, business meetings, birthday parties etc. The executive chef will design menus to suit specific needs for private functions. The Pub has the busiest, largest and sunniest patio in Collingwood and seats comfortably 100 people but extends to 200 during the summer months to accommodate the numerous festivals that come to Collingwood. New equipment includes a state of the art POS system that is also capable of controlling inventory, draft meters, illuminated European beer towers, 50 gallon hot water tank, light fittings, kitchen equipment, new mahogany bar top & freshly painted & refurbished washrooms, dishwasher and glasswasher. Fully equipped kitchen & outside storage area. Current events include Monday night sports, wings & draft specials, Tuesday night DVD Blue Ray Music Concert night, Wednesday night Live Trivia, Thursday night dart league, Friday night bands, music trivia & comedy nights. Saturday night DJ & dance hits. Sunday afternoon ?Open Mic? live music.